The image I used is Butterfly Kisses from All Dressed Up. 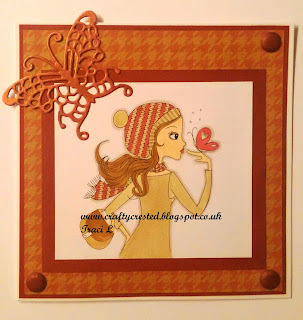 Your butterfly is stunning and goes so perfect with the image and colors you chose for your beautiful card. 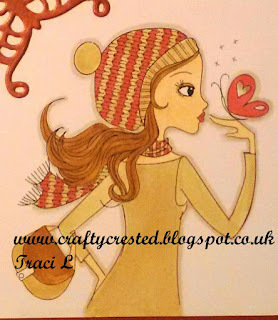 Thank you so much for sharing your amazing creation with us at 4 Crafty Chicks Anything Goes Challenge.